Henry Ford jump-started the age of the automobile with the first assembly-line car in 1908: the Model T. Over the next century the automobile evolved from chugging workhorse to tail fin-era showboat to sleek status symbol, complete with sleek hood ornament. 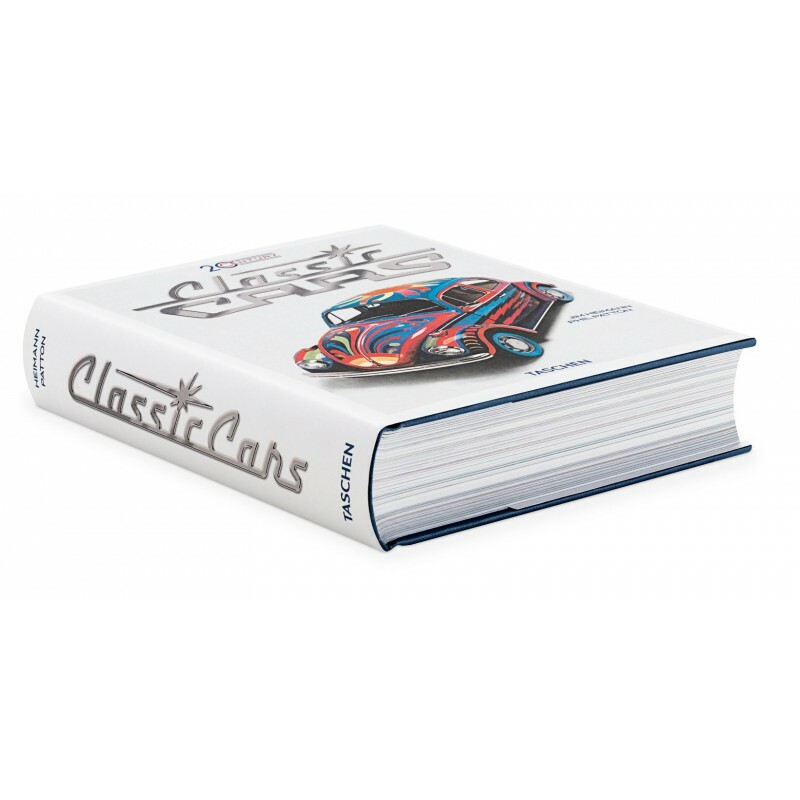 Initially a novelty item, the car grew into a necessity of the modern age, and a vector of freedom on the open road. 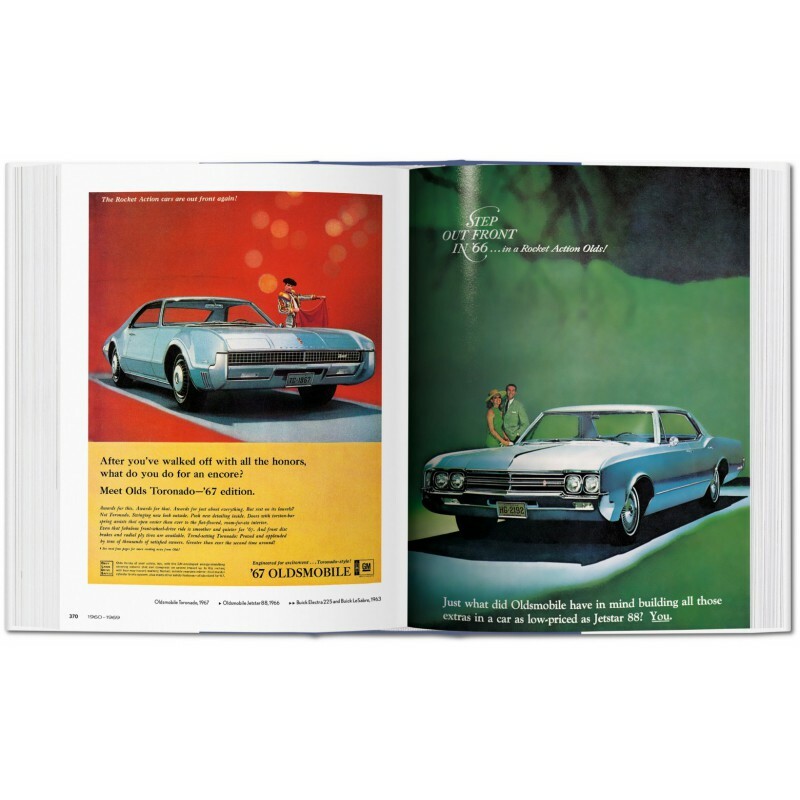 20th Century Classic Cars offers a lush visual history of the automobile, decade by decade, via 400-plus print advertisements from the Jim Heimann Collection. 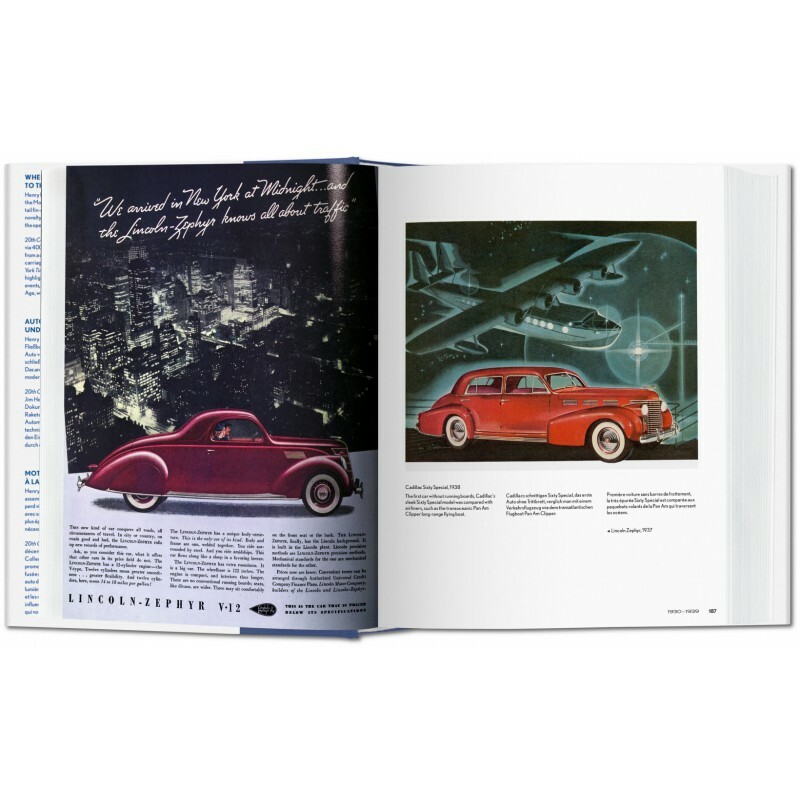 Using imagery culled from a century of auto advertising, this book traces the evolution of the auto from horseless carriage to rocket on wheels—and beyond. 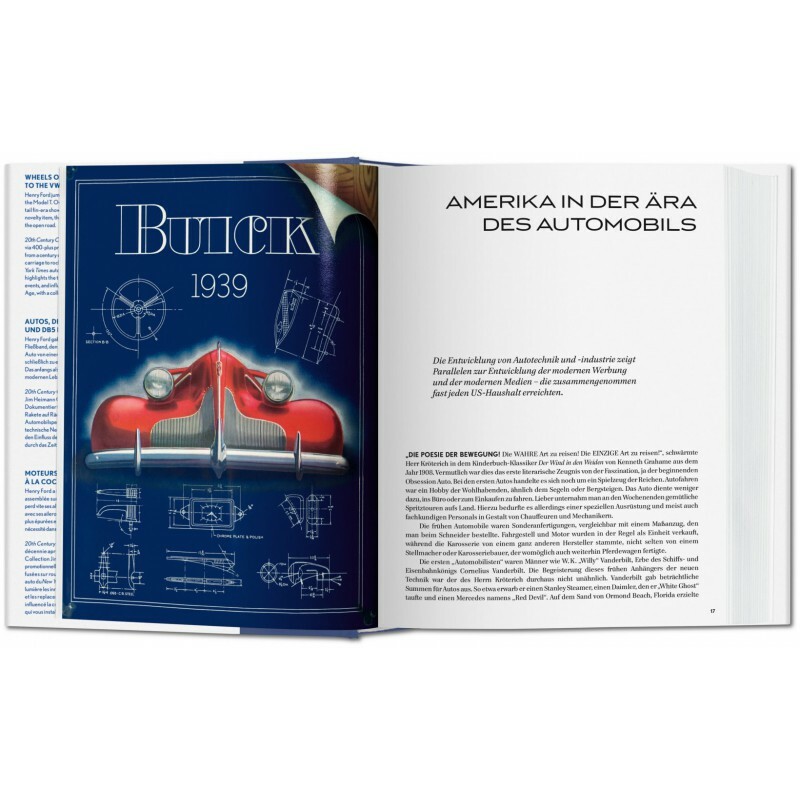 With an introduction and chapter text by New York Times automotive writer Phil Patton, as well as an illustrated timeline, this volume highlights the technological innovations, major manufacturers and dealers, historical events, and influence of popular culture on car design. 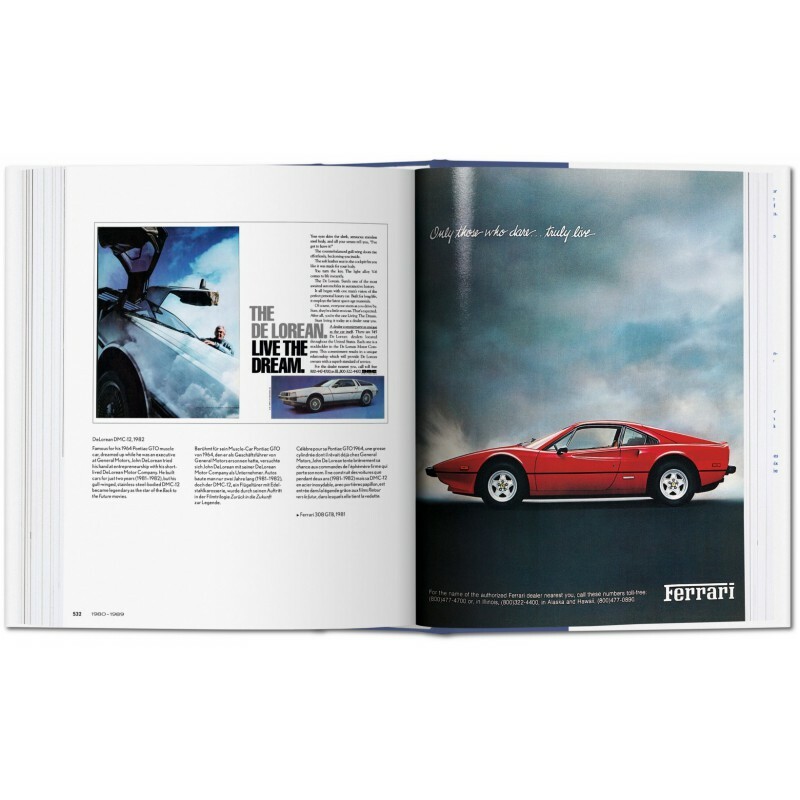 Time-travel through the Automobile Age, with a collection that puts you in the driver’s seat. 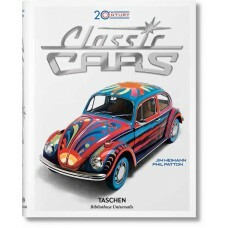 A TASCHEN classic, now in a new size at an irresistible price! 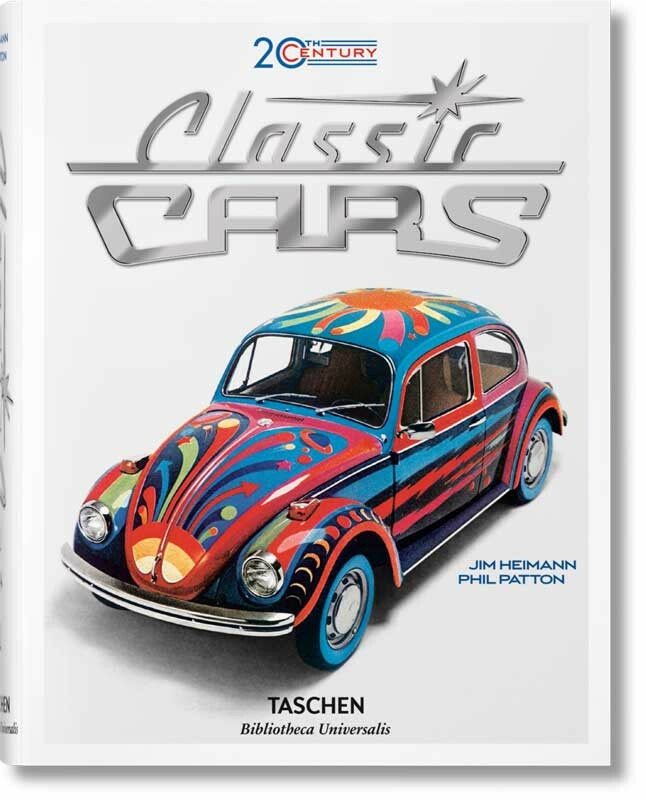 Cultural anthropologist and graphic design historian Jim Heimann is Executive Editor for TASCHEN America, and author of numerous books on architecture, pop culture, and the history of the West Coast, Los Angeles, and Hollywood. His unrivaled private collection of ephemera has been featured in museum exhibitions around the world and dozens of books. 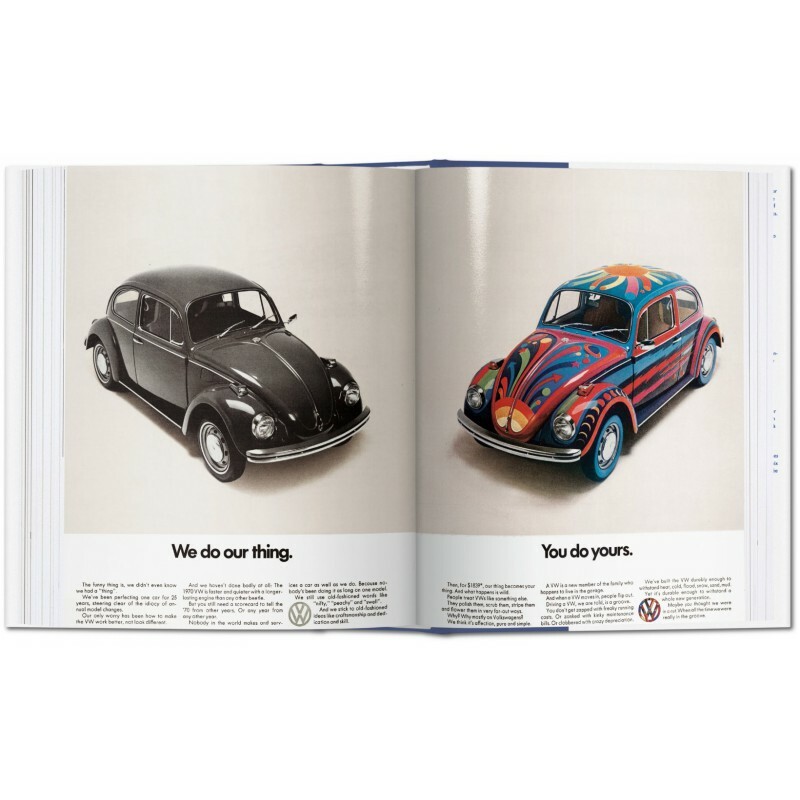 Phil Patton writes about car design for The New York Times and is a contributing editor to ID magazine. He was a consultant for Curves of Steel: Streamlined Automobile Design at the Phoenix Art Museum and Different Roads: Automobiles for the Next Century at the Museum of Modern Art in New York.